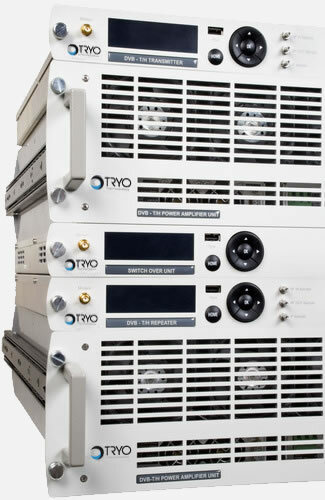 This series of equipment provides an extremely compact and flexible solution, featuring very low power consumption, modularity, wideband amplification, fully automatic settings configuration, plus flexible and customizable remote control & monitoring capabilities providing intuitive and simple operation and maintenance. Its ultra-compact design allows allocating a complete 20Wrms DAB transmitter in only 1U for standard 19” cabinet, and a 150Wrms transmitter in 2U. Transmitter fits in only 2U. The highest availability & reliability allows lower maintenance costs. 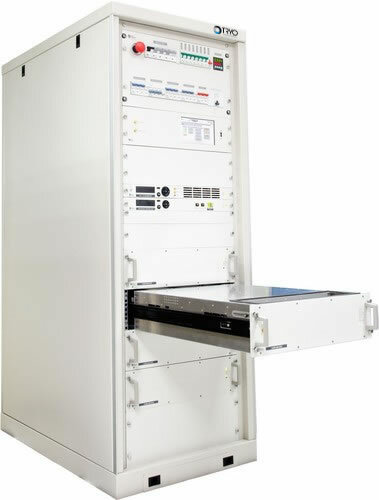 Its ultra-compact design allows allocating a complete 400Wrms DAB transmitter in only 4U for standard 19” cabinet, and a 800Wrms transmitter in 7U. Ultra-compact transmitters and repeaters providing the smallest footprint in the market. As a reference, a 800Wrms Transmitter fits in only 7U. The MC2 Series provides system efficiency above 40%, reducing dramatically energy costs, by means of an innovative amplification technique. The improved efficiency drives to the lowest OPEX in the market, providing the minimum Total Cost of Ownership. Compared to traditional amplifiers, the innovative very-high efficiency amplifiers included in MC2 Series provide a strong decrease in operating junction transistor temperature, which has a relevant impact on the MTBF of the system due to the lower thermal stress of the amplifier components. The MC2Series also offers the possibility to incorporate redundant configurations on a simple and scalable way, for improved availability. The Modular design of MC2 Series also provides a high serviceability, since the hot swappable units can be replaced while keeping transmission on air. 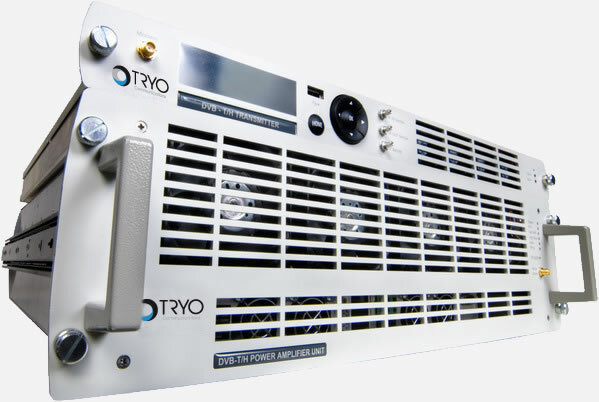 Additionally, the internal design of the Power amplifier units provides an extremely easy access to internal Fans, Air Filters and Power supply modules, allowing on-site module exchange without requiring specific technical skills, special tools or test equipment. SUMMIT Series provides a complete range of transmitters and repeaters for DAB / DAB+ /T-DMB, available up to 2.4 KWrms. Its ultra-compact design allows allocating a complete 1.200Wrms DAB transmitter in only 10U for standard 19” cabinet. Ultra-compact transmitters and repeaters providing the smallest footprint in the market. As a reference, a 1.200Wrms Transmitter fits in only 10U.